Hot water to your faucet can be produced in many different ways. Domestic Hot Water Coil located inside your Boiler — Generally, this is ample for a household using showers only. This type of heating requires a high-quality tempering valve combined with a well-maintained boiler to work well. Indirect Fired Water Heater connected to your Boiler as a separate zone — This is the most efficient and abundant means of providing hot water for your home. These water heaters come in many different sizes depending on your need. A typical household generally uses a 40 gallon. People that take baths or fill hot tubs gain the most benefit from this type of water heater. Davis Oil proudly uses American made brands such as Weil McLain, Super Stor and Amtrol for these heaters. Oil Fired Water Heaters are also efficient to own and operate. — This type of water heater has the fastest recovery rate of them all for people or businesses that require loads of hot water. Davis Oil proudly sells and services the AMERICAN MADE Boch brand of oil-fired domestic hot water heater. Electric Hot Water Heaters are popular with people that have hot air furnaces — The most common size for a normal household is 40 gallons. We do suggest bumping up to a 50 gallon if you have kids in the household as it is a minimal increase in cost to install. These heaters are available in many different sizes and shapes depending on your needs. Davis Oil proudly supplies and installs American made brands such as Bradford White and State. Wondering what type of hot water system is right for you? We will gain information from you based on your needs and then recommend one of the above-mentioned methods to you. Send us an email so we can talk to you about your hot water needs. We will stand our recommendation 100% if you are not completely satisfied. Delivering abundant and SAFE hot water is of the utmost importance to us. There are many different components needed to make sure these heaters are installed to meet state and local codes. We have in-house, licensed master plumbers to make sure this happens. All water heater installations are backed by Davis Oil 100% parts and labor for one full year. After that, the manufacturer’s warranty is in full effect. 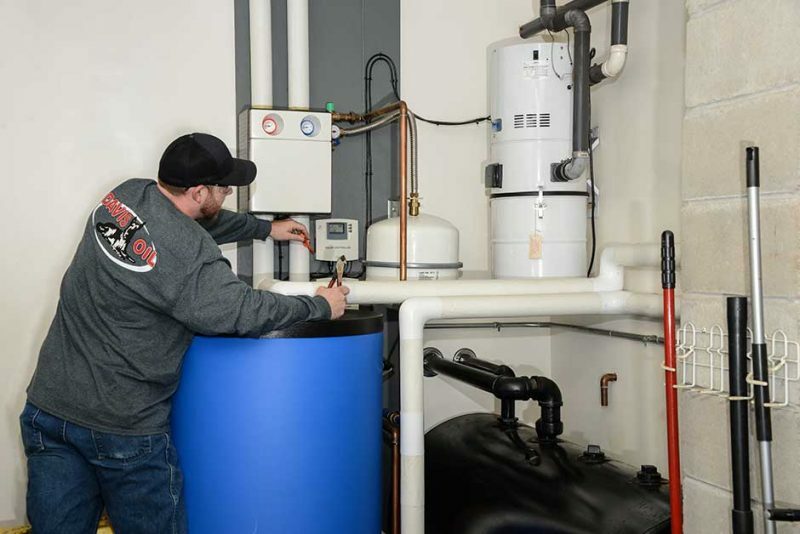 Hot water heaters require service too — this often gets overlooked. Davis Oil can flush your water heaters as recommended by the manufacturer. We can check the integrity of the relief valve (which is the largest safety item on your heater) and replace if necessary. We can replace the anode on your water heater which helps extend the life of your heater. The need to replace the anode rod is often triggered by a rotten egg smell out of the hot water side of your faucet. Tempering Valves and Expansion Tanks are also items that need servicing periodically. Schedule your cleaning with us today! We recommend cleaning your hot water system. Contact us to schedule your hot water system cleaning. 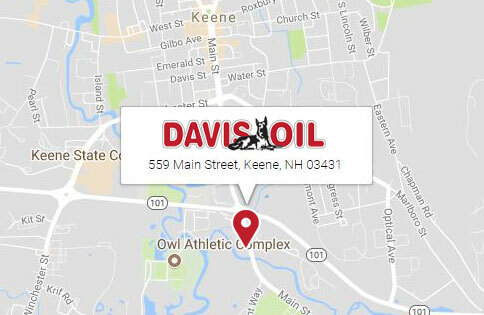 Talk to us and start the conversation about how Davis Oil can help you with your hot water needs. Being a Davis Oil customer gives me peace of mind – and I thank you for 45+ years of exceptional service.